We are Spokane’s premiere dining destination with over a dozen restaurants and lounges to choose from, and even more on the way this summer. So you can enjoy whatever you’re craving, from a fine-dining steakhouse experience to a burger on the go. Not to mention Spokane’s best sports bar, a premium cigar lounge and even more family-friendly restaurant options than ever. 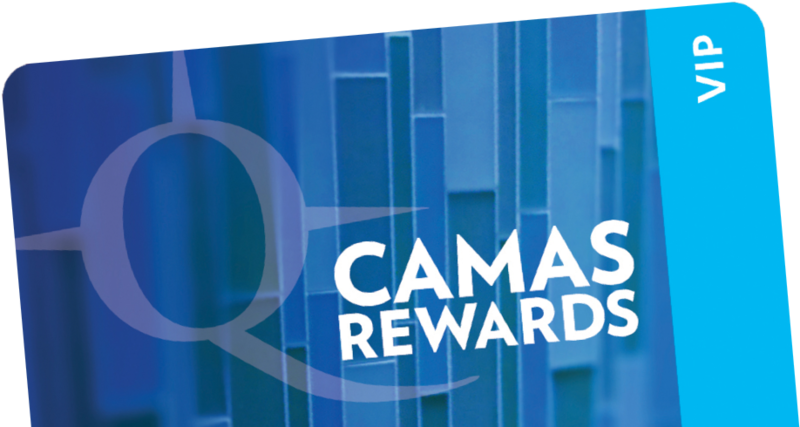 Don’t forget to use your Camas Rewards card on all of your dining and drink purchases, you’ll earn points toward free meals, dining discounts and skip-the-line passes at the buffet.